“If ever there was a clear cut case of prescription drug induced suicide-homicide, this surely is it” was what Leonie wrote when she re-printed the report that I wrote originally for the News and Comment section of this website. Their deaths, therefore, were a “complete shock” to their family and everyone who knew them. 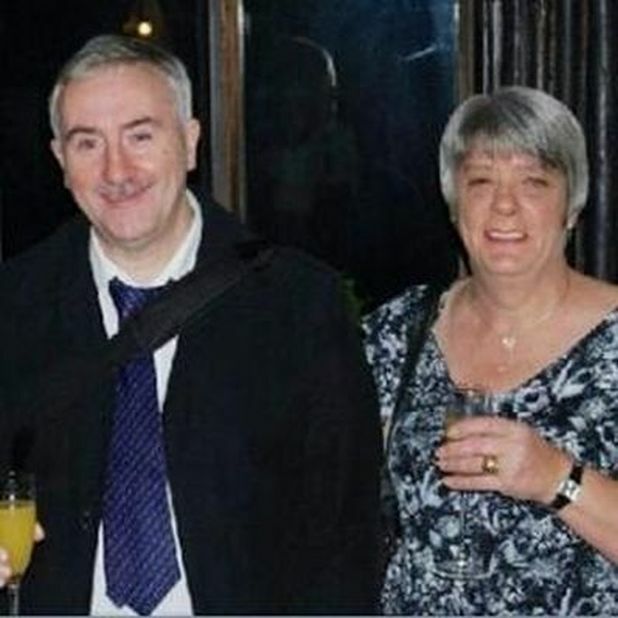 Yesterday’s inquest revealed that, on August 11th this year, Mr Maude violently stabbed Judith to the back and neck with a kitchen knife and attempted to strangle and suffocate her at their home (right) in the village of Hoghton, Lancashire. He then drove a short distance to a nearby railway line, where he stepped in front of a train. It emerged that Mr Maude had seen his GP 16 days before the deaths, complaining of insomnia and stress over financial worries about his mother, who was going to have to be placed in care. In a statement, GP Dr Stephen Howell said Mr Maude was a regular patient who suffered chronic arthritis but had no history of mental illness or depression. I wasn’t present in the court to write the report: my information came purely from three online media sources. Therefore, if I have written anything which turns out to be incorrect, then either I was mis-informed, or I have mis-interpreted the information. The BBC headline was “Wife killer who committed suicide had financial worries”. Here again, any references to medication were omitted. 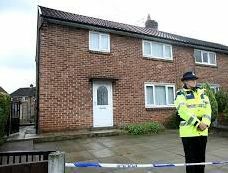 The Lancashire Evening Post echoed the coroner’s summary with the headline “Murder suicide death a mystery”. This was the only one of the reports that I read which gave details of the medication prescribed. I looked for comments from the public which are sometimes written beneath the reports, but failed to find any. So instead I went to Twitter, where, without fail, every comment put the responsibility for the tragedy squarely on to Mr Maude. When I read this comment: “Appalling article on Judith Maude’s #dv murder – a ‘happy caring marriage’?”, I replied, referring to the medication. All of the above comments were written from a position of understandable ignorance – the UK population has been kept in the dark, a position that I myself may have been in four years ago. I cannot see any justifiable reason, however, why both the GP and the coroner should assume a position of ignorance. Moreover, the British National Formulary, the prescribers’ official “handbook”, contains the paragraph: “The use of antidepressants has been linked with suicidal thoughts and behaviour. Where necessary patients should be monitored for suicidal behaviour, self-harm or hostility, particularly at the beginning of treatment or if the dose is changed.” There is no report that an appointment for monitoring Mr Maude’s progress was made for any time in the 16-day gap between prescription and death. Having been provided with information about the medication prescribed, Deputy Coroner Simon Jones chose to ignore the only explicable reason for Mr Maude’s actions, so completely out of character that they could not possibly have been anticipated. To tell the family that the cause of the two deaths is “completely unexplained” deprives them of the opportunity to mourn and grieve both parents equally. At the inquest, the bereaved family should have been told unequivocally that Mr Maude was not mad, not a monster, not a murderer. His actions were completely involuntary, and dictated completely by the medication that he should never have been prescribed. Yeh right, ignore the obvious link and put forward a less likely one. How many people have murdered then suicided because their mother was going into a home? How many people murder and suicide because of stress, for that matter? Just whose interests are being served when knowledgeable professionals assume a position of ignorance? Can antidepressants cause violence: http://www.youtube.com/watch?v=OyPuE314SDQ#t=54 This doctor clearly says they do. Check it out. The doctor in the video knows about akathisia. Even I know about akathisia. Shouldn’t a coroner know about akathisia?